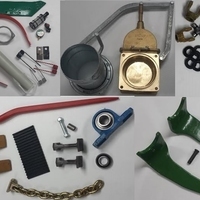 DH Farm Machinery Website is one of Ireland’s largest online gateways for purchasing farm machinery parts at excellent prices. We supply customers with both genuine and replacement parts to anywhere on the Island of Ireland. By purchasing any parts from this site you are acknowledging and accepting our Terms and Conditions which are outlined in this document. You are advised to read these prior to ordering. These terms and conditions can be changed at any stage by DH Farm Machinery. The total price payable for the goods will be stipulated at the time when you place your order whether or not the order has been confirmed. We are entitled to make adjustments to the price to take account of any increase in our supplier's prices, or the imposition of any taxes or duties, or if due to an error or omission the price published for the goods is incorrect whether or not the order has been confirmed. We will inform you of the correct price and give you the opportunity to cancel the order or purchase a similar product. All prices on our website are in euros and are subject to the Standard VAT Rate of 23% and delivery charges which are estimated at the time of order placement. Once your payment has been processed you will receive an email. Any email or other acknowledgement by us of receipt of an order placed by you does not constitute legal acceptance by us of your order. Acceptance of your order and the formation of a contract take place when the goods you have ordered have been dispatched to you, unless we have notified you that we do not accept your order or you have cancelled it in accordance with our cancellation policy. We reserve the right not to supply goods and to cancel your order in the event of a pricing error or omission. In the event a product is listed at an incorrect price due to typographical error or error in pricing information from our suppliers, taxes or duty changes, we shall reserve the right to refuse or cancel any orders listed at the incorrect price whether or not the order has been confirmed. If your credit card has already been charged and we subsequently cancel your order, we will immediately issue a credit to your credit card account to the value of the incorrect price (including delivery charges). You are entirely responsible for any and all activities that occur under your account which is provided by DH Farm Machinery. You agree to notify us immediately of any unauthorised use or any breach of security. We use Realex Payments to provide a secure and reliable payment processing service. Realex payments are approved and certified by many financial institutions. There are several technological layers in place to ensure the confidentiality and integrity of information. Realex payments have been accredited with Account Information Security certification by Visa. Realex payments are registered with the data protection Commissioner as a ‘data processor’. Cardholder information is encrypted and not displayed in our reporting systems. Parts and accessories will be sent out with third party couriers. See Order Fulfilment and Delivery for Further Information. Orders will be dispatched once your order is processed and as long as parts are in stock at time order is placed. Stock levels may vary due to popularity of product. It is vital that any information asked for by us at time of order being placed is correct to allow quick and efficient delivery of the goods to you our customer. Please ensure you input the correct Delivery Address, Email Address and Phone Number with your order. Delivery of goods will be between general working hours and we have no control as to what time the delivery can be made. Goods ordered on Friday after 2pm will not be dispatched until Monday and in the case of Monday being a Bank Holiday the goods will be dispatched the next working day. Our customers are entitled to withdraw from a distance selling contract and seek a full refund within fourteen days of the date on which they received the goods. The customer is responsible for the cost of returning the goods and the goods must be returned unused and in the same condition as they were sent out. You can make arrangements for the return of goods by contacting us orders@dhfm.ie. Any information you enter on this site will be used by DH Farm Machinery only and no other third party companies will have access to this information. We may use this information to contact you in relation to special offers we may have, upcoming events or news we feel may be of interest to you based on the products you have purchased. All products carry a manufactures warranty which varies according to the manufacturer. Please contact orders@dhfm.ie for individual manufacturer’s warranty information.